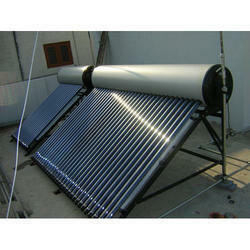 Prominent & Leading Manufacturer from Noida, we offer solar water heater. Our Solar Water Heater is highly efficient water systems which generate power at nominal rates in comparison to the non-renewable sources of energy. These are absolutely environmental friendly and can prevent emission and applicable in bungalows, residents, hospitals, offices, hostels, hotels and government institutions. These heaters are easy to install and power saving.